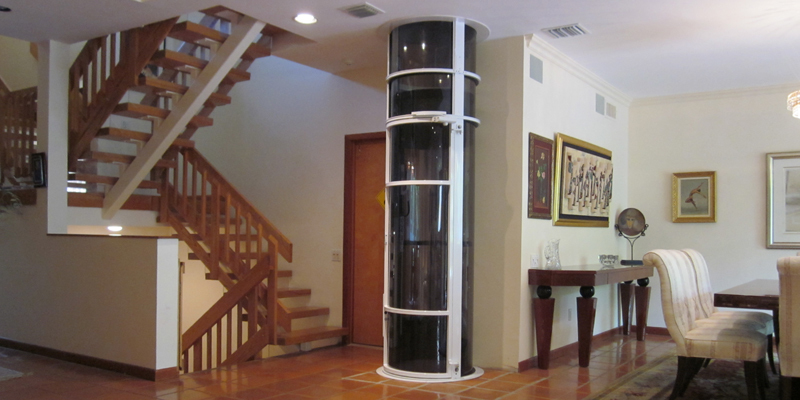 Our smallest glass vacuum elevator, the Vision 350 is great for any home. Economical and compact, this model can fit almost anywhere. The Vision 350 is perfect when there is limited space, because it requires limited construction. No pit or machine room is required, which cuts down on installation time and costs. With a weight limit of 350 pounds and a diameter of 30 inches, the Vision 350 can add convenience to any home, small or big. 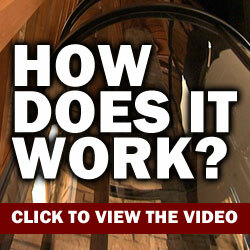 The Vision 450 is our most popular glass vacuum elevator model. It has a compact design and requires little installation. It can be attached to a balcony or fit through a hole in the floor. It can travel up to four stops, hold up to 450 pounds, and has a diameter of 37 inches. The Vision 450 does not require a pit or machine room, cutting down on the cost of construction. This model is great if you or someone in your family uses a wheelchair. 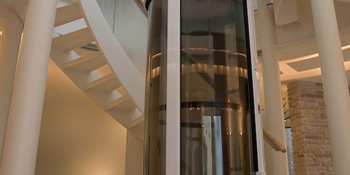 The Vision 550glass vacuum elevator is designed to help someone in a wheelchair keep their independence and mobility. With a weight limit of 525 pounds and a diameter or 52 inches, someone in a wheelchair can ride the elevator comfortably. If your home is large, the Vision 550 has the capability to travel up to four stops. This model also does not need a pit or machine room. Keep your independence and mobility at home with the Vision 550 glass vacuum elevator.